They are great for small and larger surfaces alike since they dramatically change the visual and design, as well as add to the aesthetic appeal of the room. Whether it is a wall in your room or a wall outside your office, you could use it to either highlight your interests or promote your product/service, respectively. And as far as design possibilities go, you can opt for virtually anything. From fonts and colors to logos and graphics, any shapes and sizes, the list goes on. 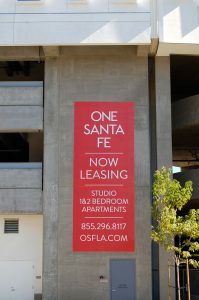 There are numerous benefits of investing in a creative wall wrap, some of which are listed below. Various studies have repeatedly shown that colors and creative designs affect emotions, and emotions encourage customers to make the purchase. Big, bright, and bold images invite potential customers in, entice their temptation, educate them on something relevant and useful, and subconsciously lead them to buy your product or service. Even big corporations, such as Nordstrom, Google and MIT make use of engaging wall warps to increase customer engagement, improve brand awareness and increase sales. 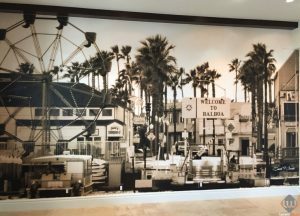 A wall wrap allows you to have an original, genuine piece of art. No two wall wraps are the same, and all wraps are especially personalized for each client to add that feeling of genuineness. Having an aesthetically appealing work of art hanging by your office space, exhibition, conference room, reception area, retail store, etc. can be an incredibly appealing for onlookers and be appreciated by them, as opposed to much of the stale design that they are used to seeing on a regular basis. 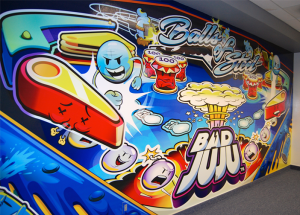 Creative wall wraps can be used by companies to improve employee motivation and boost their morale. 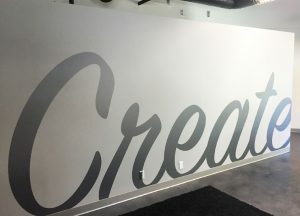 Instead of generic artwork that nobody pays heed to, or motivational quotes that ceased to be motivational a long time ago, wall wraps can tell a convincing story or send a colorful, creative message that can improve determination, and thus productivity and engagement levels.